The implication: If you eat Chipotle, you’re doing the right thing, and maybe you’re better, too. 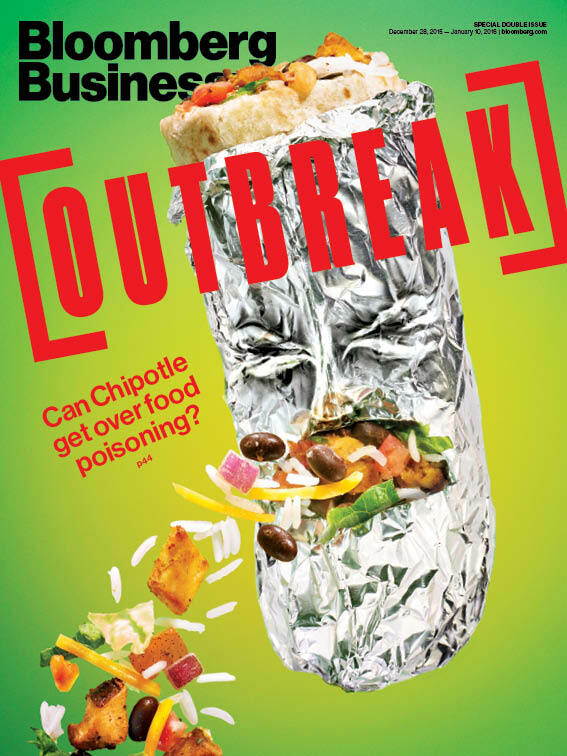 But fewer people associate Chipotle with “healthy” today, reports BusinessWeek (Dec. 28, 2015-Jan.10, 2016). Almost 500 people around the country have become sick from their food since July. And food-safety experts say they believe the total number affected is at least 10 times the reported number. The company has always urged customers to think about its supply chain. Now they are. And so is Chipotle, which has blamed the outbreak on its supply chain’s use of local farmers and growers. To respond to the crisis, it will shift more food preparation out of restaurants and into centralized kitchens–doing things more like the McDonalds type of chains it’s long mocked. Before it’s harvested, produce will be screened for pathogens using DNA-based tests. Meeting these higher standards will be expensive for smaller farms: There’s the cost of the testing itself and of discarding rejected vegetables and herbs. From there, it will be sent to the commissaries, to be washed, sanitized, and retested. The commissaries, rather than the restaurants, will be responsible for cleaning and packaging the cilantro, shredding the lettuce, and dicing the tomatoes.